B1s peak has very low sensitivity. 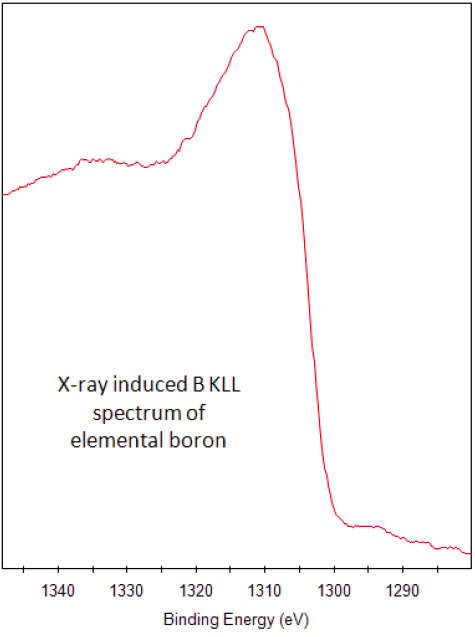 Use large number ( 50) of scans when acquiring B1s spectrum if boron at low concentration. 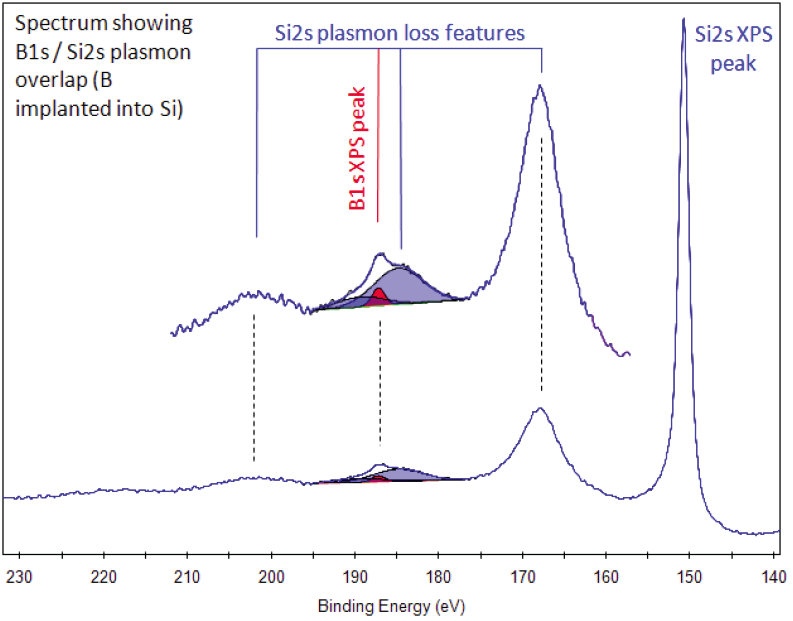 When boron is implanted in silicon, the strong Si2s plasmon loss feature strongly overlaps the B1s region. Restricts detection of low concentrations of boron implanted in silicon. Detection limit for boron in silicon is 7×1020 atoms cm-3. Difficult to confidently assign B1s peak for low concentrations, when no secondary peak observed. For high enough concentrations of boron, the B KLL Auger peak will be observed. Elemental boron samples are usually oxidized at the surface. May observe sub-oxide rather than B2O3. Discoverer: Sir Davy, et al. itself was not isolated until Sir Humphry Davy, Gay-Lussac and L.J. Thenard isolated it to about 50% purity in 1808. Jöns Jacob Berzelius later identified boron as an element in 1824 and American chemist, W. Weintraub, produced pure boron for the first time in 1909. 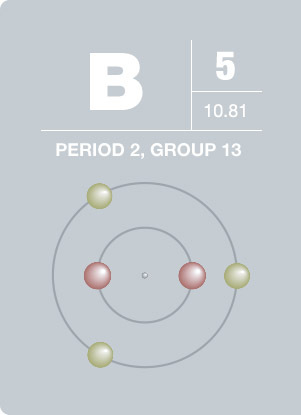 Boron is not found in its elemental form in nature, but is found in compounds. Compounds of boron have many applications. They are used in making insulating fiberglass, sodium perborate bleach, pyrotechnic flares, and making high-strength, lightweight materials primarily important for advanced aerospace structures.